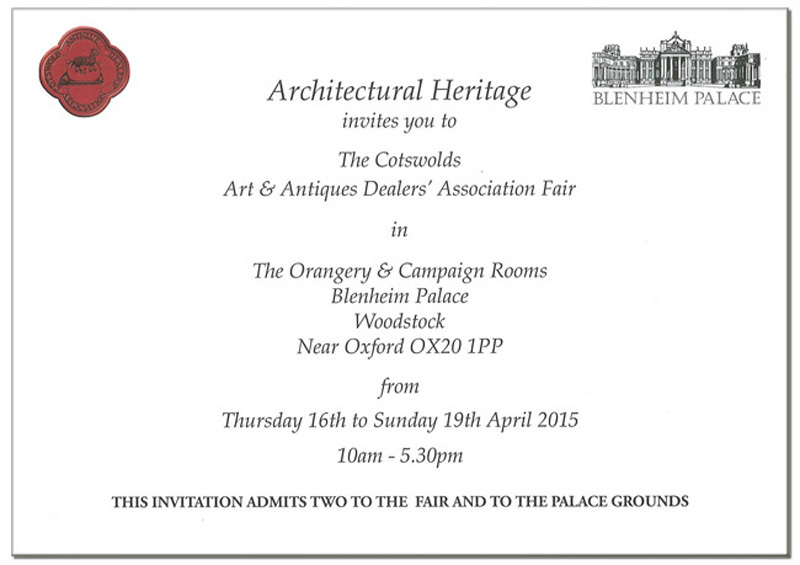 I am pleased to announce that we will once again be exhibiting at the The Cotswolds Art & Antiques Dealers' Association Fair at Blenheim Palace - from Thursday 16th to Sunday 19th April. Now in its fourth year, with over 4500 visitors expected, the Fair brings together 30 of the UK's foremost dealers, many of international repute in their specialist areas. Please see below invitation which gives complimentary entry for two to the Fair and the grounds of the Palace (just print this email and bring it along with you). 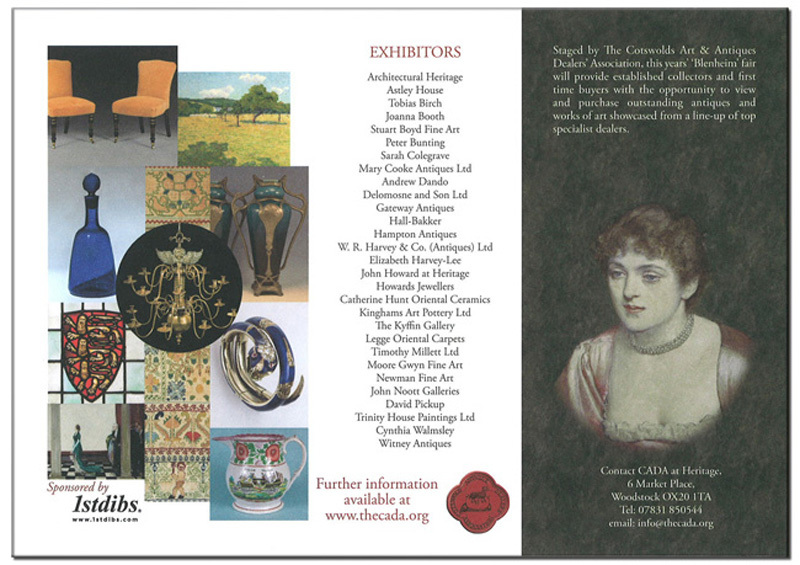 Please click on invitation below to go through to The Cotswolds Art & Antiques Dealers' Association website for further information. I very much look forward to welcoming you here if you can make it.